Oak Bay is a visually stunning district on the southern tip of Vancouver. 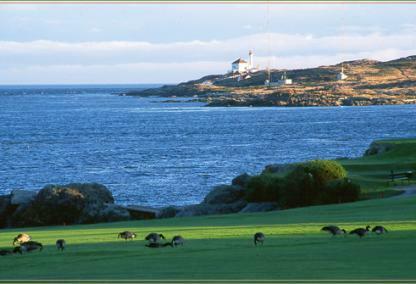 There are three golf courses and more than 20 charming restaurants and cafes in Oak Bay. Families can enjoy a dip in the pool which is open until 1 a.m. or feed seals or otters by the dock. Old Bay's Willows Beach is an ideal getaway during winter and summer. The area also boasts a variety of art galleries on Old Bay Avenue. With waterfront, restaurants, parks and festivals, Old Bay is a perfectly melded combination of soothing nature and bustling social activity.